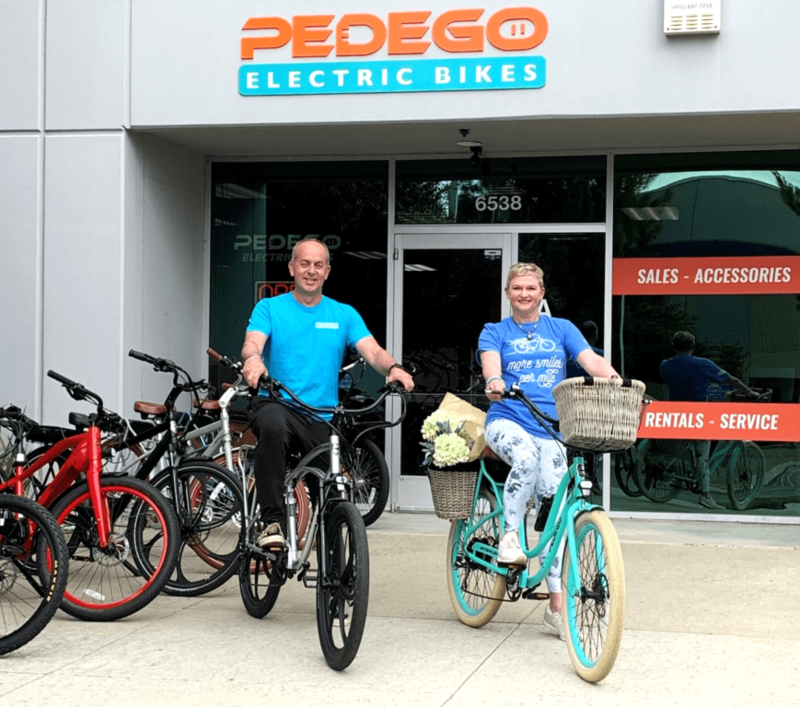 New Pedego Electric Bikes Store Energizes Livermore, Calif.
Pedego empowers people to laugh more, love more and live more in Livermore! FOUNTAIN VALLEY, Calif., April 17, 2019 — A new Pedego® Electric Bikes store has opened in Livermore, Calif. Pedego Livermore co-owners Jim and Loretta Buck are delighted to bring the nation’s Number 1 electric bike brand to the Tri-Valley region. The Bucks are well-established entrepreneurs in the region with a passion for wheels-based entertainment. They also own UMIGO Indoor Kart Racing & Event Center, which is celebrating its 11th anniversary. Ribbon Cutting 11:30 a.m.–12:00 p.m.; Grand Opening 12:00p.m.–3:00 p.m.
Steve Lindenau from Pedego Corp.
EXTRAS: Guided Pedego Mini Rides at 12:15 p.m., 1:15 p.m. and 2:15 p.m.
Jim and Loretta Buck, owners of Pedego Livermore, show off their fleet of powerful Pedego electric bikes that are ready to provide hours of energized fun. The couple has enjoyed riding bikes since the beginning of their life together. Jim purchased a bicycle for Loretta after only a few weeks of dating. “I wanted her to ride with me,” he explained with a laugh. Now, they’re looking forward to sharing the joys of electric bikes with the Livermore community and visitors. Pedego Livermore offers rentals, tours, sales and service of Pedego electric bikes. It is located only a brief ride to the historic Livermore Valley Wine Country, California’s oldest and original wine country. Riders can enjoy sightseeing as well as visits to historical sites, wineries, breweries and shopping. 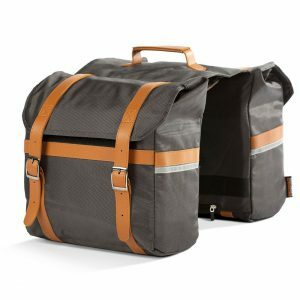 Along the way, they can conquer hills, headwinds and distances with the bike’s PedalAssist and twist-and-go throttle. Pedal or not, riders enjoy the scenery as they ride. 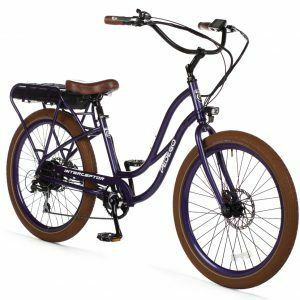 Pedego Livermore is the region’s premier dealer in Pedego Electric Bikes, offering Pedego electric bikes sales, rentals, tours, accessories and service. Pedego Livermore is located at 6538 Patterson Pass Rd., Suite A, Livermore, in the Livermore Indoor Sportsplex adjacent to the Department of Energy’s Lawrence Livermore National Lab (LLNL). The store is a brief ride to the Historic Livermore Valley Wine Country (California’s oldest and original Wine Country). Pedego Livermore is open Wednesday through Sunday, Noon to 6 p.m., with expanded hours in spring and summer. Call (925) 800-5330 to learn more and arrange a free test ride. For more information, email the owners at [email protected].